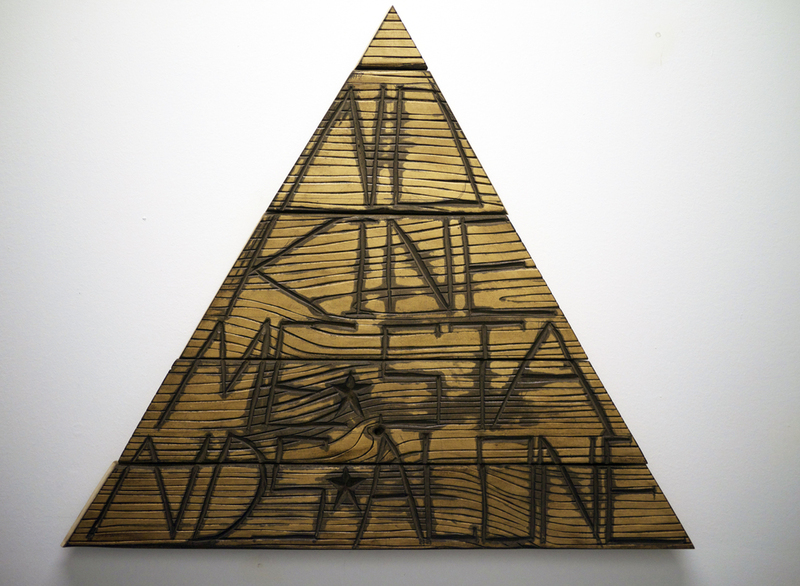 No Kineme Stands Alone - Curated by Saira Mclaren and Fran Holstrom - July 20th - August 18, 2013. Added on July 20, 2013 by Mitchell Wright. Using the recent resurgence of craft as a springboard, Saira Mclaren and Fran Holstrom bring together eight New York City artists whose work references “the body” and the elusive messages conveyed in gestures, while simultaneously challenging the meaning or common use attributed to their materials. Presented in pairs, the works converse with one another, making signs, relaying messages and traces of a body once present and now gone. Unexpected material use and an informal DIY aesthetic are king. Beginning with the body and its long relationship to the vessel, artists Jenny Blumenfield and Keiko Narashi use ceramic as starting point to explore ideas of womanhood, identity and ultimately usefulness and value. Rejecting conceptions of beauty, Hein Koh and Matt Miller’s work comes from the inside. Their work is visceral, intestinal and gruesome. Their abject aesthetic is pushed so far that it enters over into the beautiful. They are like ancient remains, waiting for their afterlife out of the Canopic Jar. Reconfiguring reality, Lizzie Wright and Mike Hein make sculptures out of found and constructed materials, which become uncanny vignettes with no defining line between the real and the fabricated. Household items and debris are assembled with sculptural elements in forms that act as totems and makeshifts signs from an anonymous author. In their own distinctive styles, both Irvin Morazan & Tracy Thomason comment on adornment in popular culture as seen from their perspective. Tracy Thomason uses beauty products, in lieu of paint, teasing out the seriousness of abstract painting. Meanwhile, Irvin Morazan puts urban street culture center stage, wearing chunky sculptural headdresses during elaborately choreographed performances.